Just dropping you a line to let you know that I have unilaterally extended my holiday and expect to be back on-line April 25th. During my break I have been pursuing new interests, like knitting and Poldark. 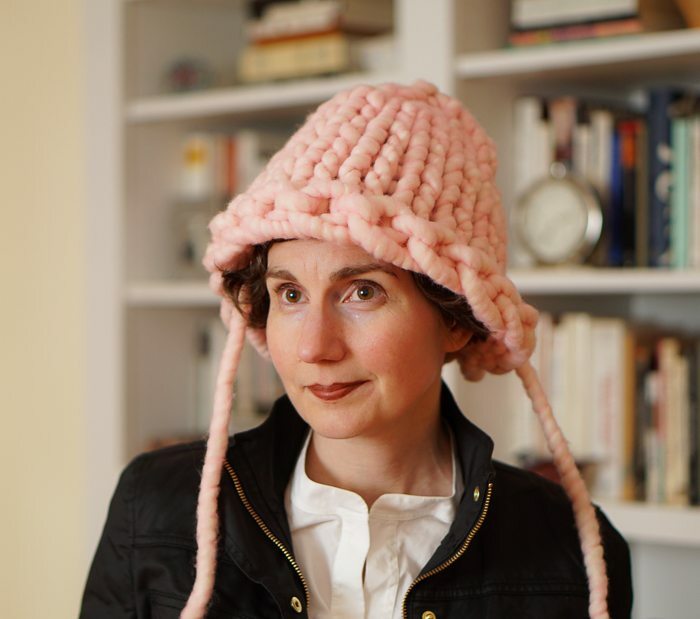 I made my Loopy Mango hat last weekend. Perhaps the ones shown on the Loopy Mango site are a little better than mine, but I am nevertheless very proud of my first knitting project. I am not quite sure what I need to do with these long ends. Perhaps they look intentional, like ties, but they are not; they’re just the ends of the project. Knitting is very relaxing, so peaceful and rhythmic. But of course it can also be tactically deployed as a mode of personal expression — Defarging It™ — i.e., to show a total lack of interest while something that is very meaningful to someone else is going on. Click click click. Poldark! If you haven’t seen it, you now have plans for the weekend. Season 1 only takes eight hours and you will not, could not, be disappointed. 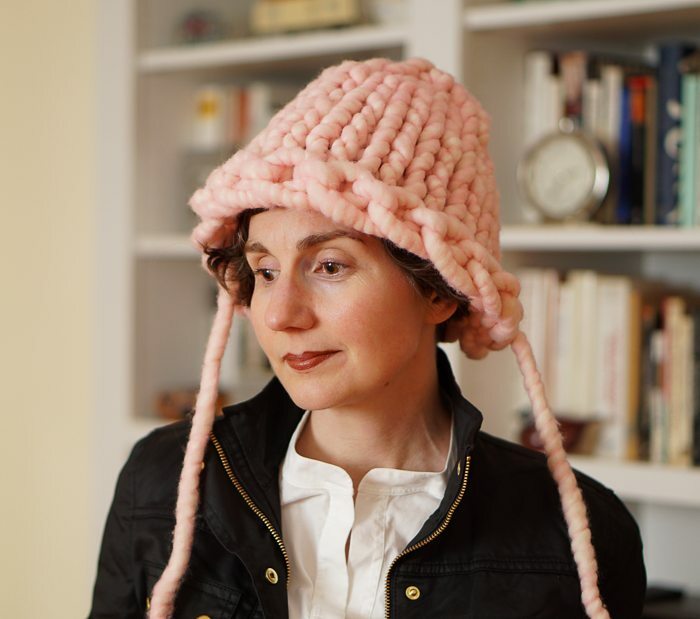 You can weave in the ends into the inside of the hat, making sure they are tied off as to not unravel…OR… you could add a tassel on each end and look quite Oregonian. Congrats on your new found interest! Your readers will miss you, Directrice, but everyone deserves a vacation. Especially you, you hard-working thing. As a certain friend of ours once said, be well! Usually the ends are woven in, but the problem with such a thick yarn is that it’ll create quite a bit of bulk and come out too easily. My best experience with such knits is to take the end and unravel it into at least 4 pieces and weave those back into it. You may also want to wet it and block it to see if you can get the rim a tad tighter!! hmmmmmm…maybe turn the long ends into Pippi Longstocking-ish tassels? Or maybe not! I’m with Jodie in thinking that the pattern was for a bigger head than yours. I might consider attaching the ends to something a bit stretchy and running that through the edge. I was just perusing my inbox worried I had missed a new entry, so decided to check out the blog. You are missed, but I do hope you are enjoying a very relaxing, much deserved holiday!